It’s Friday! I’m so happy to end this week. We have a fairly low-key weekend planned, my highlight being driving high school kids on Sunday, which means a day in downtown la! Or rather Hollywood area. I plan to hit all my favorite secondhand spots, and see some friends. I have been hunting for this jacket for ages!!! 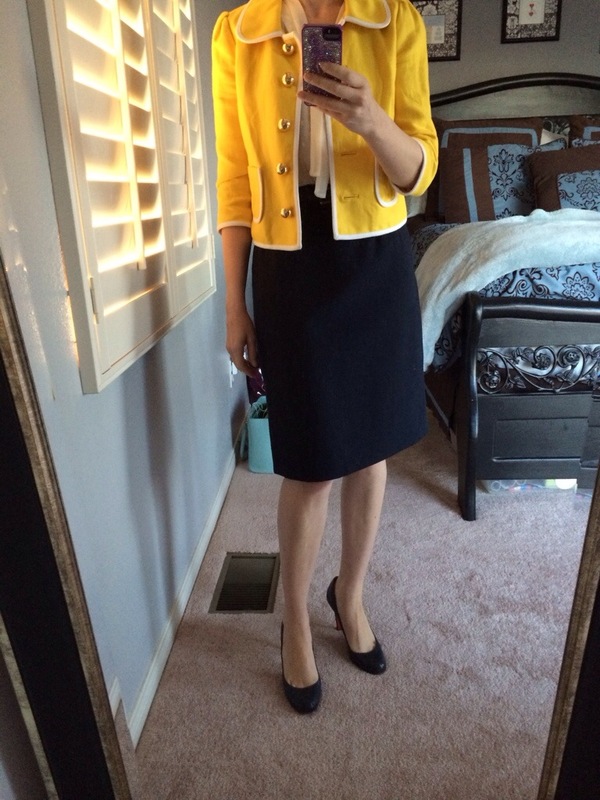 I jumped on the Kate Spade clothing bandwagon a little late, and so I’m always on the hunt for pieces from the early days of her clothing line. I snagged this for a killer price, it still had the tags on it! (And it’s authentic) I love how it’s so bright, and the compliments today, wow. To think I almost didn’t wear it, considering a plain cream cardigan instead! I think I need to wear more of my structured jackets more, I own several really timeless pieces! I just tend to get stuck in the “throw on a cardigan” rut. Of course now I feel I need to find it in green, another colour they made this in! But for now, baring any fabulous finds this Sunday, I really need to scale back and start shopping my closet for a bit. Easier said than done! 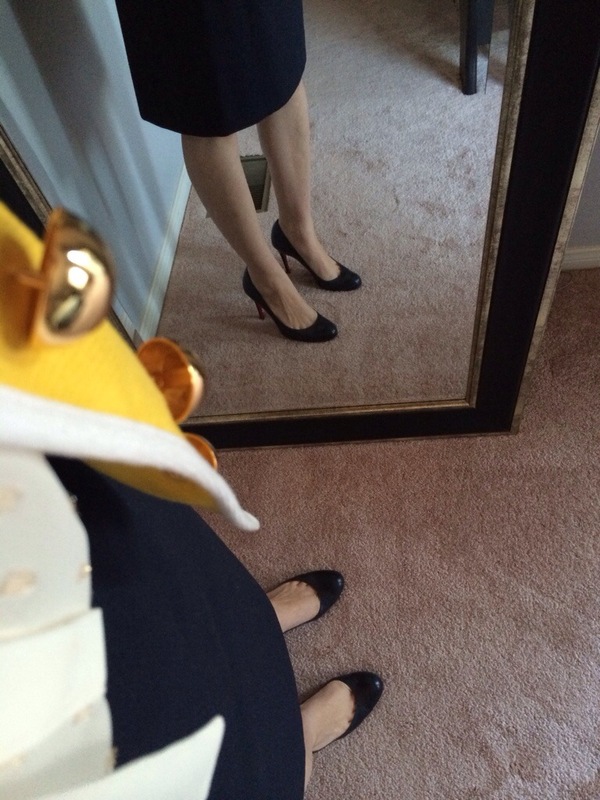 This entry was posted on March 14, 2014 by katespadegirl. 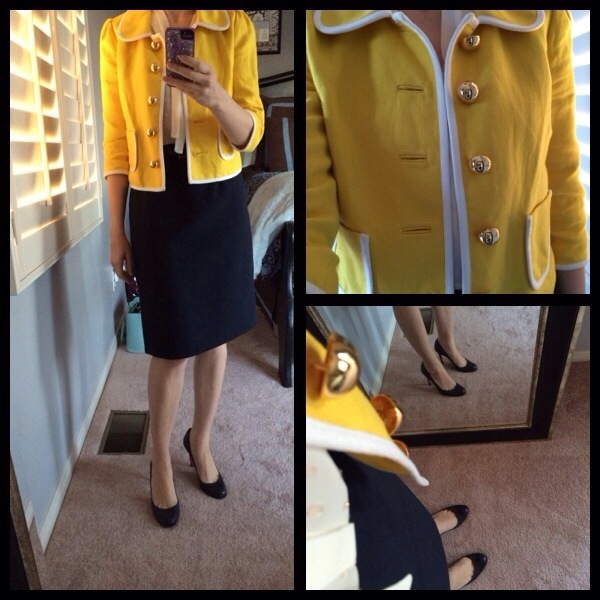 It was filed under Outfit of the Day, Uncategorized and was tagged with Kate Spade, Vintage, yellow. So I have NOTHING to go with it and bought them at a charity shop which means they are a bit quirky – I still have not worn them and haev had them for about three weeks now! 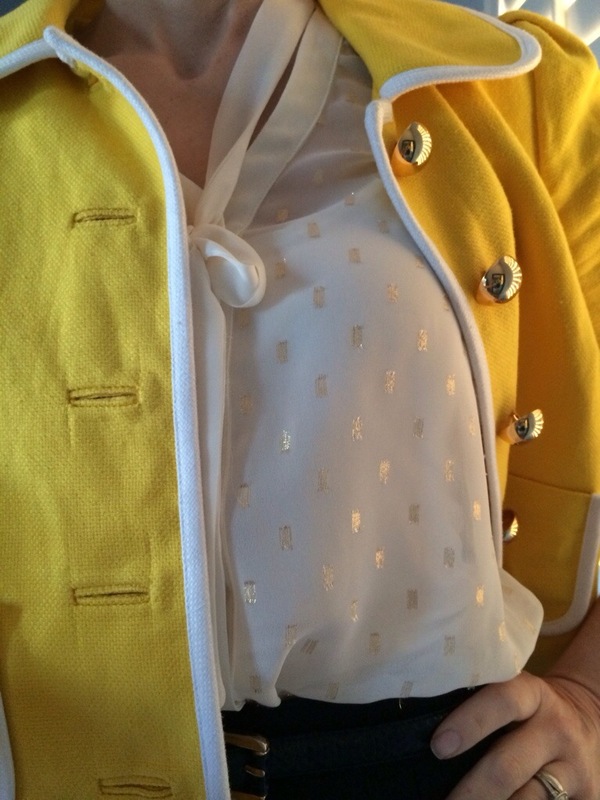 I love the gold dotted secretary top with the bow and that is a great jacket. 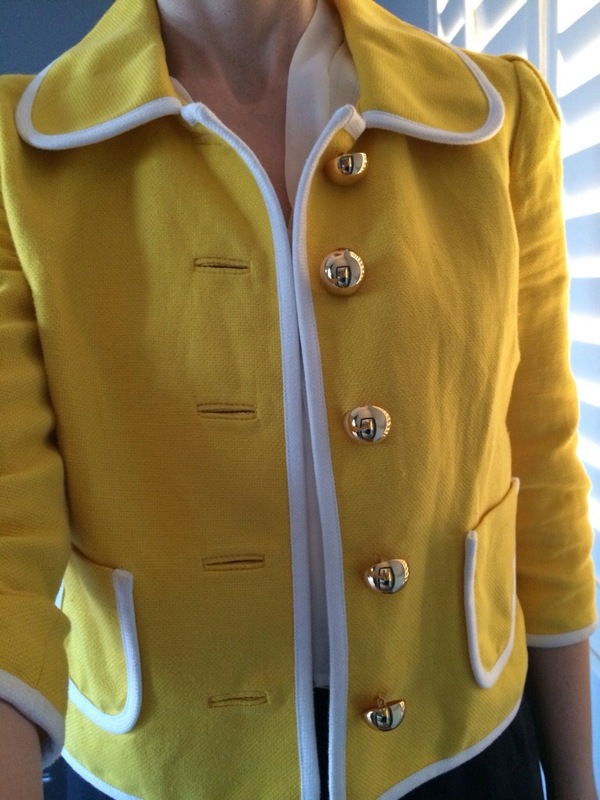 Love the gold buttons-very luxe. I agree too. It’d be great in green! I loved the tennis print stuff because I am a tennis player. I never nabbed anything up though. They had the tennis bracelet tennis bracelet (haha) up a while ago at the last 75 percent off sale, but I didn’t buy it.